Arikara man wearing a tribal bearskin costume. 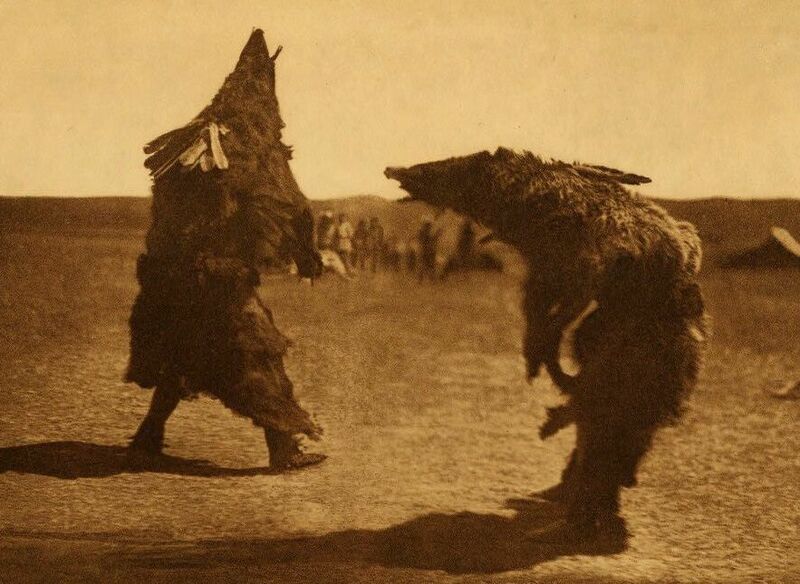 Members of Arikara tribe performing ceremonial dance in bear costume. Bears used to be common in the region -as Glass found out - and they formed an important part of Arikara culture. Much of Glass's adult life was spent trading and hunting with Indians, interspersed with frequent bouts of attacking and being attacked by them in the vast and inhospitable region that broadly bisects the border of North and South Dakota. For centuries the area's native tribes had relied on the rich animal and river life, which had the main source of their material and social cultural lives. Understandably, they resented the intrusion of European hunters, trappers and explorers during the eighteenth Century. The increasing pace and sophistication of this intrusion -such as the Lewis and Clarke expedition - did not improve matters. The Indian response was, however, ambivalent. Sometimes they attacked Europeans, using their superior knowledge of the terrain and their tracking and hunting skills. Yet they also formed hunting and trading partnerships with their European counterparts and sometimes made alliances with various European groups. It was, after all, a group of Indians who saved Hugo Glass's life and helped him to safety after his "wrestle" with the grizzly. And it was another group of Indians who eventually ambushed and killed him some years later. The region where Glass hunted, traded and met the grizzly bear was shared by several Indian tribes, whose relationship with each other - and the Europeans - was subject to abrupt change. These tribes included the Blackfeet (regarded as usually hostile to Europeans), the Mandan, (praised by Lewis and Clarke for their peaceful nature), Hidatsa and the Sioux. However, it was the Arikara (a.k.a. the Rees) with whom Glass and his trapping companions seems to have had the most contact with in the weeks preceding his "wrestle" with the grizzly.The film correctly identifies the Indians involved in its events as Arikara (Ree). It also gives Glass an Indian wife;their son has an important part in the movie's revenge theme. Again, The Revenant is historically accurate in this portrayal of mixed race relationships along this frontier: they were a characteristic and accepted feature of frontiersmen's lives. However, it is impossible to determine whether the real-life Glass really did have a Pawnee wife or a son. He claimed to have spent some years with the Pawnee but his statements are not noted for their authenticity. The Arikara, Mandan and Hidatsa peoples had several key connections they shared with each other and the European traders / trappers. They were all engaged in the early 18th century in a vigorous trading system, which used trade fairs at various upper Missouri river villages. Here they bartered, bought and sold pelts, furs, biffalo hides and even horses, Iron utensils and weapons, whiskey, sugar and cloth were also traded. Main Indian tribes of the Rockies / Far West. Dates refer to year tribes were began using horses. This scene from The Revenant shows Indian teepees. 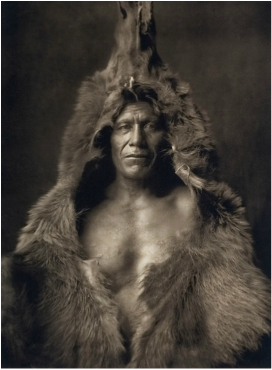 The movie uses the Blackfeet tribe for its Indian scenes but in fact at the time of Glass's "wrestle" with the bear the territory his companions was an area mainly populated by the Arikara and to a lesser extent, the Mandan. Both tribes used a distinctive and sophisticated earth mound habitat , not teepees. The Arikara were semi-nomadic. By Glass's era they lived in their earth lodges in the Grand River area. NOt only were they hunters and traders. The Arikara were also skilled agriculturalists, raising crops of corn, squash, and beans which they also traded, especially withthe non-agricultural Teton Sioux. Their name meant "horn" - adut males wore their hair with two pieces of bone standing up like horns on each side of their heads They had an uneasy and often unfriendly relationship with the Mandan and Hidatsa, and also with Europeans. Smallpox epedemics in 1836-7 and 1856 devastated the numbers of all three tribes. Consequently in 1856 the three joined together in North Dakota and are now known as the "Three Affilliated Tribes." In the 1870 some Arikara warriors were scouts for Lt. Colonel George Armstrong Custer on his fatal Little Bighorn campaign. 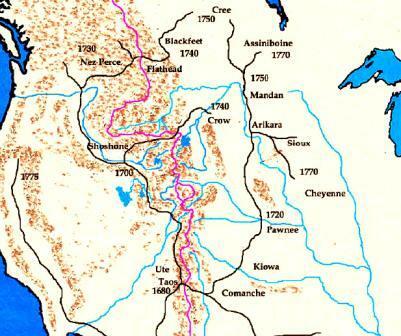 The Arikara were an agricultural people who lived in earth lodges between the Grand and Cannonball Rivers in what is now northern South Dakota. he villages, set on an island in the Grand River, held about 2,000 people housed in 60 earth lodges—the first such lodges the Corps saw on their journey. The Arikara were farmers, raising corn, beans, tobacco, and squash both for food and to trade with other tribes in the area. Their agricultural success also balanced the power with the non-farming Teton Sioux, aggressive neighbors who needed the food the Arikara produced. Many years after the expedition, smallpox outbreaks in 1836 and 1856 decimated the Arikara population. In 1862 the remaining Arikara joined the last Mandan and Hidatsa in North Dakota. Frontiersmen often chose a local Indian woman as their wife; many wives acted as their partners in trapping and hunting enterprises. 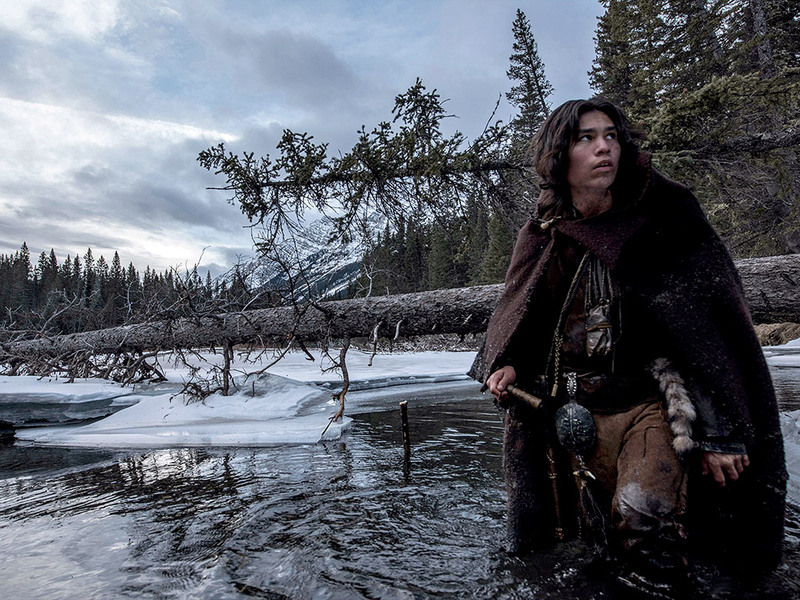 The seventeen-year old native American Forrest Goodluck played Hawk, son of Hugh Glass in "The Revenant."